If you have no idea what to buy a niece, nephew or friend’s child, then arts and crafts is your answer. After all, what child doesn’t enjoy getting their hands on paints, pencils and Play-Doh?This Mocka easel is essential for budding artists. 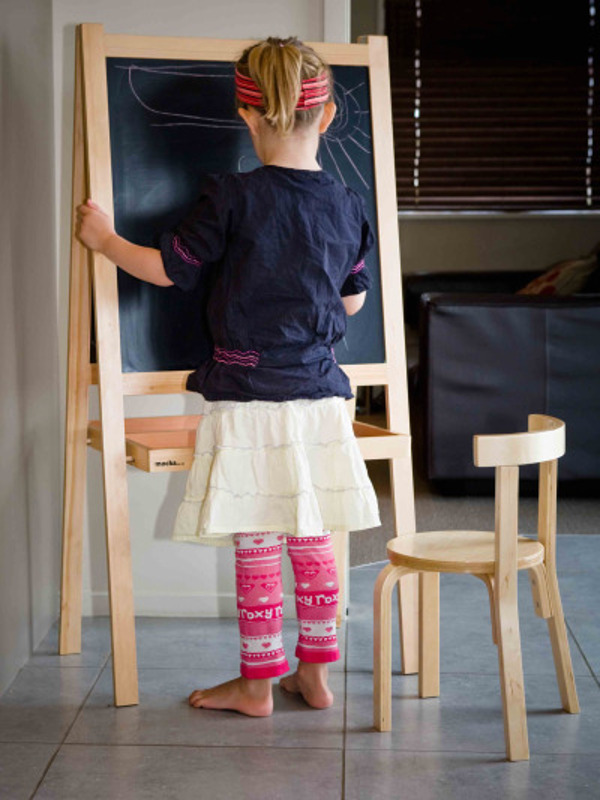 With a magnetic whiteboard on one side and a chalkboard on the other, this will keep them drawing for hours. At $49.95, it also has a divided tray underneath so pens and chalk are kept separate. Christmas themed crafts are a perfect way to get your child in the festive spirit. Not to mention an excellent way of producing cheap gifts! 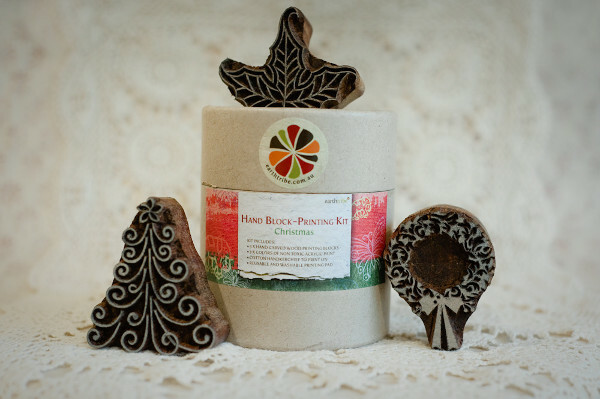 This wooden block printing kit by Sustainababy has everything your child needs to make a stack of Christmas cards. For $59.95 it includes three hand-carved stamps, three jars of acrylic paint, a cotton handkerchief and a printing pad. 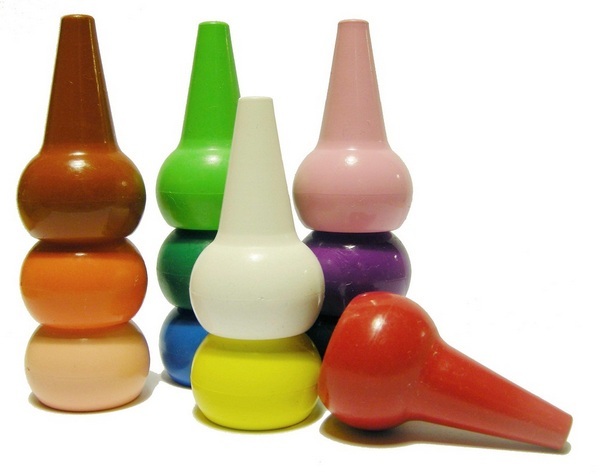 We couldn’t have an arts and craft gift guide without including the tools of the trade. 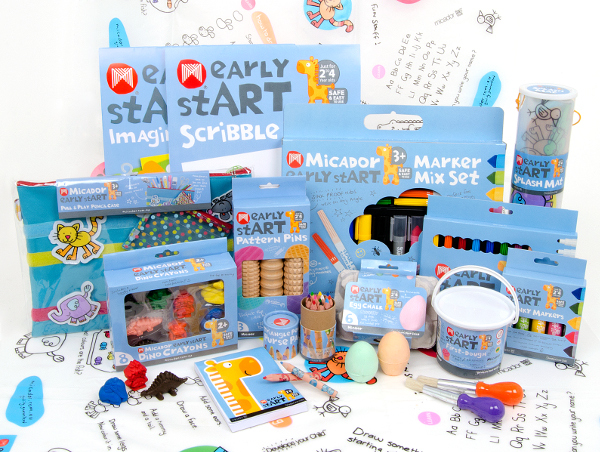 Micador has a huge range of paints, crayons, pencils and more for two to four year olds. The Early Start range features tools that are easy for little hands to grip and starting at $2, it’s easy to find something affordable and fun. My idea of a good kids gift is one that keeps them enthralled for hours and one they can share with others. Bundles of Fun have a range of Calafant cardboard toys with lots of wow factor. 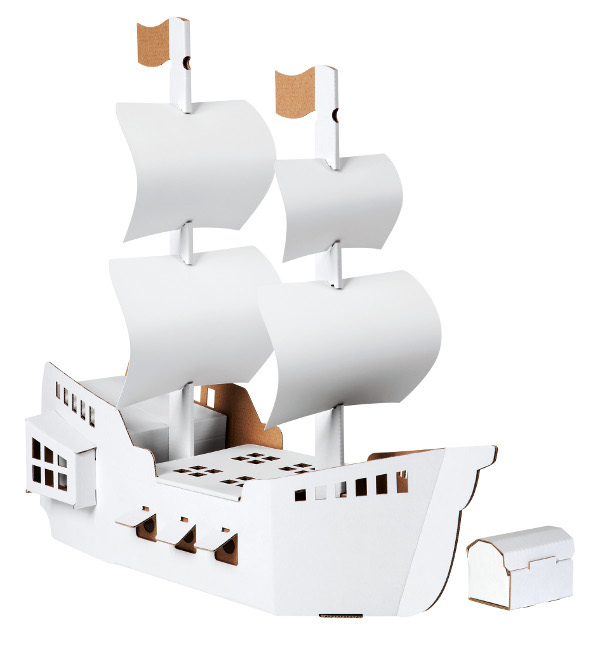 Kids can create anything, from this pirate ship (at $34.95) to a basic police car ($14.95). If it’s variety you’re after, then you’re looking for Little Crate. 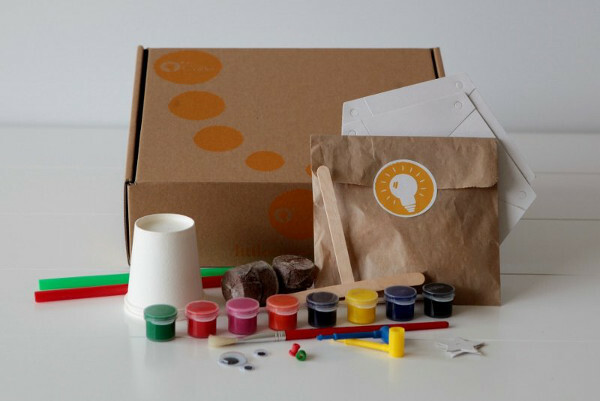 Little Crate is a monthly subscription service that home delivers a crate of craft activities for three to seven-year-olds. Each crate is themed and includes three to four activities. Costs $29.95 for a month to month subscription. When it comes to kids, the simple presents are often the best. This Rolobox Wheel Kit, available from Urban Baby, is a clever idea that will keep children amused for days on end. Rolobox is a reusable set of wheels that can be fitted to any cardboard box. Just screw on the wheels, nuts and bolts and voila, that ordinary box is now a toy caravan! Costs $12.90 from UrbanBaby. Introduce little ones to the joys of drawing with Playon Crayons from Studio Skinky. These bright wax crayons are not only easy for little ones to hold, but they’ll have fun stacking them too. They come in cute boxes of twelve for $12. Chose from primary or pastel colours. These reusable colouring placemats from Urban Baby encourage children’s creativity while keeping them busy at the table. Perfect for those restaurants where kids become bored or while waiting for the Christmas turkey to finish roasting. For $39.95, the mat comes with a set of six washable markers. 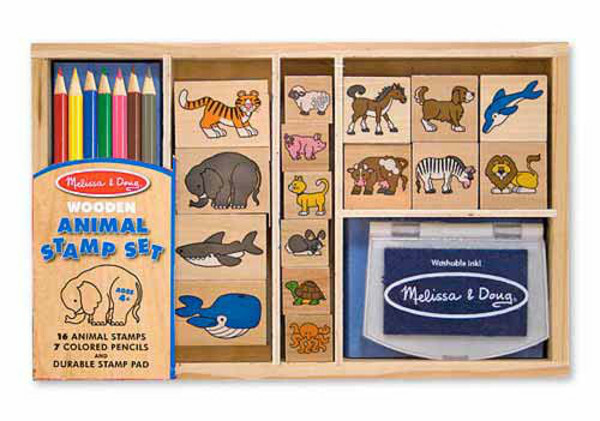 Kids aged four and older will adore this Melissa & Doug wooden animal stamp set at Happy Little Hippos. For $25.95 it includes sixteen stamps, seven pencils and inkpad in a reusable wooden box. 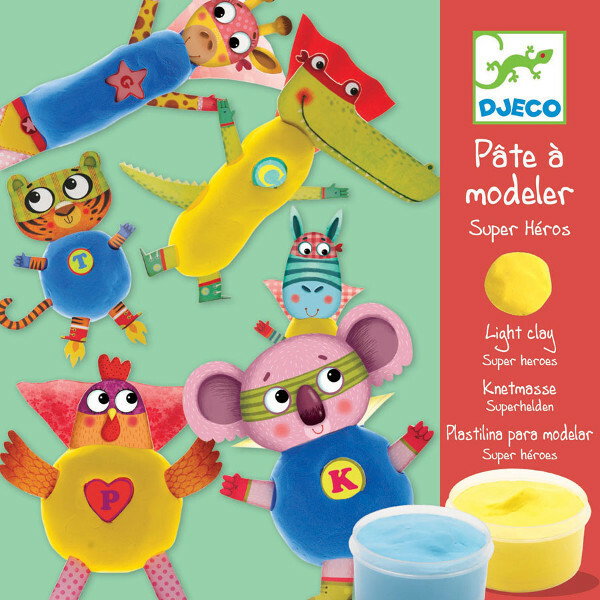 Let kids sink their hands into this light clay from Djeco, sold locally by Urban Baby. For $19.95, this kit has more than forty superhero parts to stick into the clay so kids can make their very own characters.